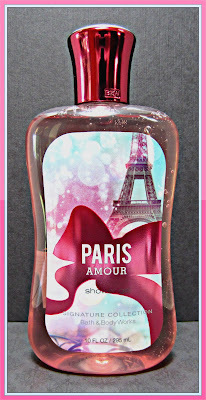 Tomorrow is the Bath & Body Works Paris Fragrance Event! You can view more information about the event at the end of this post. I've got a mini review of the Paris Amour Shower Gel, which isn't one of the new Parisian inspired fragrances that will be front and center tomorrow, but it is a very popular one from that line that you might want to check out if you're attending the event. You can read more details about Saturday's event here. *Product featured furnished by the manufacturer or PR firm for consideration. I normally don't like sweet scents but I love this one. It is THE perfect bubble bath scent.